Kurt Jacobson is a recent additions to the staff here at The Echo Nest. Kurt has built a music exploration site called catfish smooth that allows you to explore the connections between artists. Kurt describes it as: all about connections between music artists. 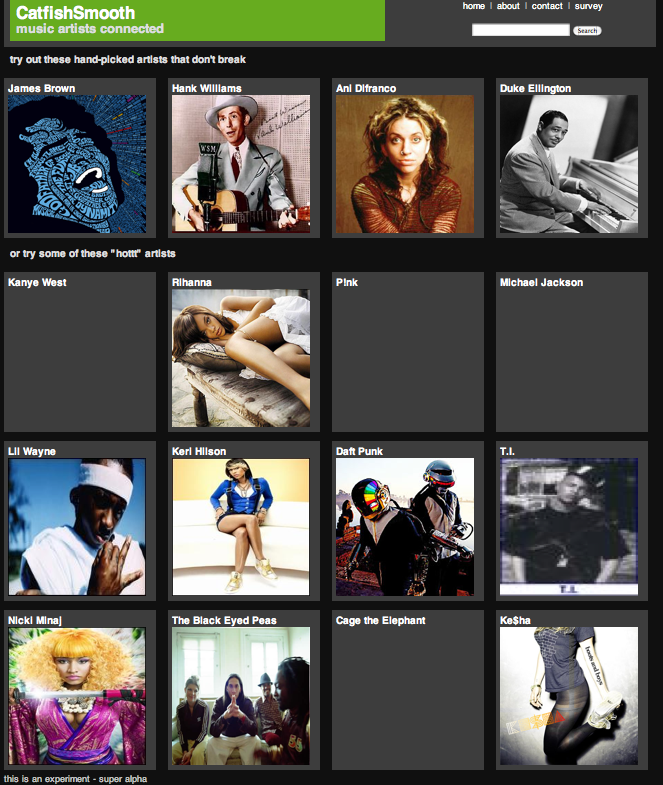 In a sense, it is a music artist recommendation system but more. For each artist, you will see the type of “similar artist” recommendations to which you are accustomed – we use last.fm and The Echo Nest to get these. But you will also see some other inter-artist connections catfish has discovered from the web of linked data. These include things like “artists that are also English Male Singers” or “artists that are also Converts To Islam” or “artists that are also People From St.Louis, Missouri”. And, hopefully, you’ll get some media for each artist so you can have a listen. It’s a really interesting way to explore the music space, allowing you to stumble upon new artists based on a wide range of parameters. 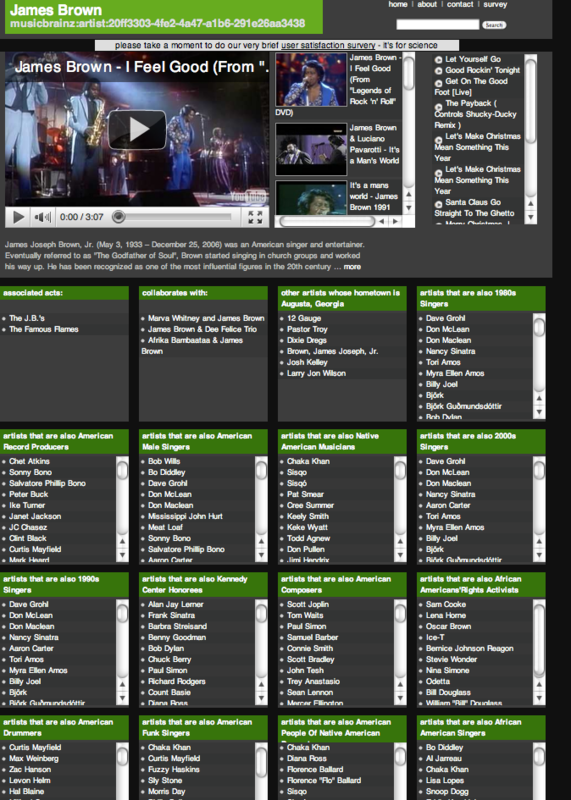 For example take a look at the many categories and connections catfish smooth exposes for James Brown. Kurt is currently conducting a usability survey for catfish smooth, so take a minute to kick the tires and then help Kurt finish his PhD and take the survey. This entry was posted on January 20, 2011, 10:37 am and is filed under data, Music, recommendation, research. You can follow any responses to this entry through RSS 2.0. Both comments and pings are currently closed.